It is our goal to provide you with professional, efficient, and cost-effective solutions for all of your tree care needs. From fruit tree pruning to low-impact crane tree removal, no job is too big or too small. Experience, training and the proper tools go hand-in-hand with success. We have been providing the best tree services throughout South King County since 2001, and are proud that our customers think so too. Nothing is left behind for you to deal with. We can haul it off by truck, utilize a tree chipper/shredder or entirely remove the tree stump with a stump grinder. Whether is a view trimming or an emergency tree removal, we got you covered. We employ a variety of methods depending on type, size, and amount of decay or damage, including climb and rope take down, low or no-impact crane or felling. 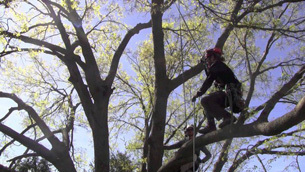 Our tree trimming services are often used to expand a view, raise the canopy or remove limbs and branches to improve resistant to storm and wind damage. 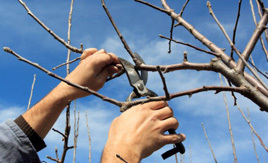 We can remove problematic limbs and branches to provide a pleasing form and promote new growth on fruit trees, evergreen, and deciduous trees. Stump grinding is the most effective way for removing a tree stump. It removes an eye-sore and a safety hazard and stops a breeding ground for insects & pests. 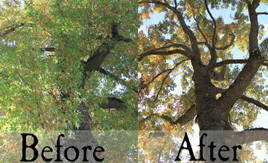 WE OFFER THE VERY FINEST PROFESSIONAL TREE CARE TO MAINTAIN THE BEAUTY OF YOUR LANDSCAPE FOR YEARS TO COME. 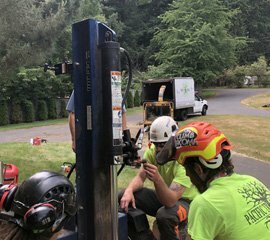 As a locally owned business since 2001, we have built a strong reputation using the many valuable skills and wealth of information gleaned from arborists, other experts and hands-on experience along the way. Even today we are offering the same high standards of safety, skills, experience and excellence to our clients at the most competitive rates in the area. Because we care about the preservation and integrity of your property and the safety of our workers, before initiating the actual felling or tree removal, we call on our experienced arborist and other experts to ensure that the project is done accurately and safely. We service all of South King County, including but not limited to the following cities: Auburn, Black Diamond, Burien, Covington, Des Moines, Enumclaw, Federal Way, Issaquah, Maple Valley, Normandy Park, Ravensdale, Renton, SeaTac, and Tukwila. Hours: Mon-Fri 8:00 a.m - 4:30 p.m.
Will and his team did an amazing job! The service provided for cutting down two trees, stump grinding, and trimming the other trees on my property went well beyond my expectations. His pricing was great and the professionalism of him and his team was outstanding! 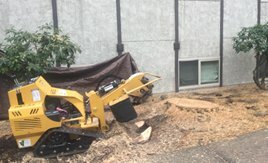 I would highly recommend Pacific Tree Service to anyone! Will definitely work with them again in the future!. I was very pleased with the work completed by this company! Will went the extra mile to complete the job timely. I had called a few different companies without getting a response and Will responded right away and he is such a pleasure to work with. He and his team are very professional. When you need some work done, these are your guys! Pacific Tree and Will Baker were very easy to work with. I appreciated learning from Will and watching his team work. The cost of his work definitely matched the job done. I would encourage anyone in this general area to pick them for your tree work! 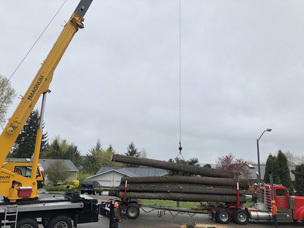 As one of the best local companies offering tree service in Kent, we honor and respect the important investment our residential and commercial clients have made in the landscape that adds significant value and beauty to the community at large. Whether your job is large or small, we take great pride in offering the highest level of personalized service and quality at a premium value. 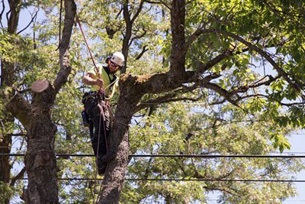 Call Pacific Tree Service for master care by professionals that work efficiently, accurately and safely to ensure project completion on time and within budget. We have built an excellent safety record by ensuring that our highly skilled professionals follow all safety protocols and guidelines. Even when working in a difficult environment providing services that can be risky, dangerous or even fatal when left in the hands of an inexperienced crew, we deliver superior results in a safe manner every day. Our years of experience, expertise, use of best methods, and commitment to excellence have contributed to our superior reputation throughout the area as the professionals to call. We live and work in your community and are dedicated to providing the highest quality services in a professional and safe manner. 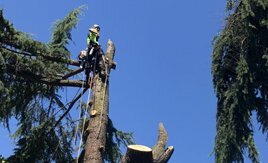 Known as professionals that are a cut above the rest, we provide the best tree trimming in Kent! We have the knowledge and skills to eliminate defects without causing irreparable damage or hindrance to growth, and to restore an aesthetically pleasing shape by eliminating deadwood or loose hanging branches. Serving South King County, including Auburn, Black Diamond, Burien, Covington, Des Moines, Enumclaw, Federal Way, Issaquah, Maple Valley, Normandy Park, Ravensdale, Renton, SeaTac, and Tukwila.